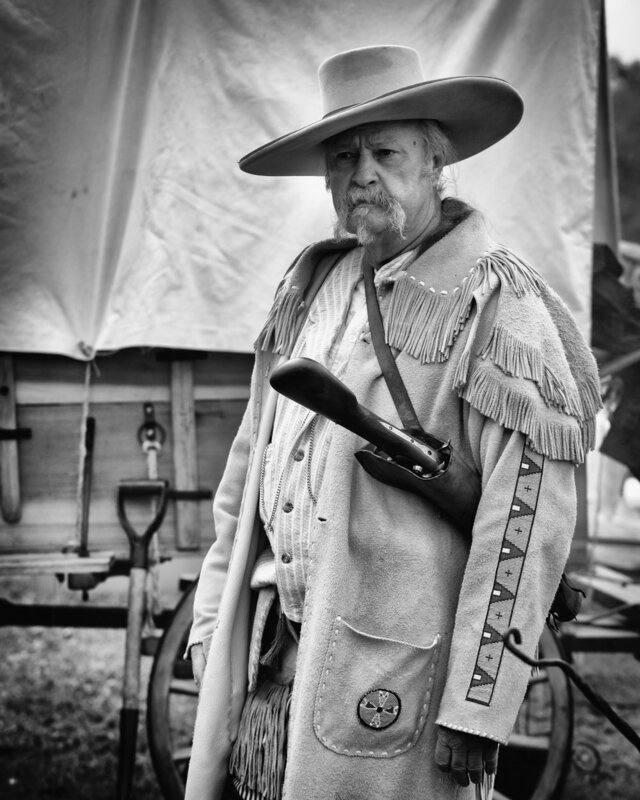 Many years ago I shot a fair amount of Kodak B&W Infrared film in my cameras. I used two cameras. A Brooks Veriwide 100 which shot 120 film and a Widelux 35mm. Both of these cameras were “Panorama” cameras shooting wide angle with extended field of view. 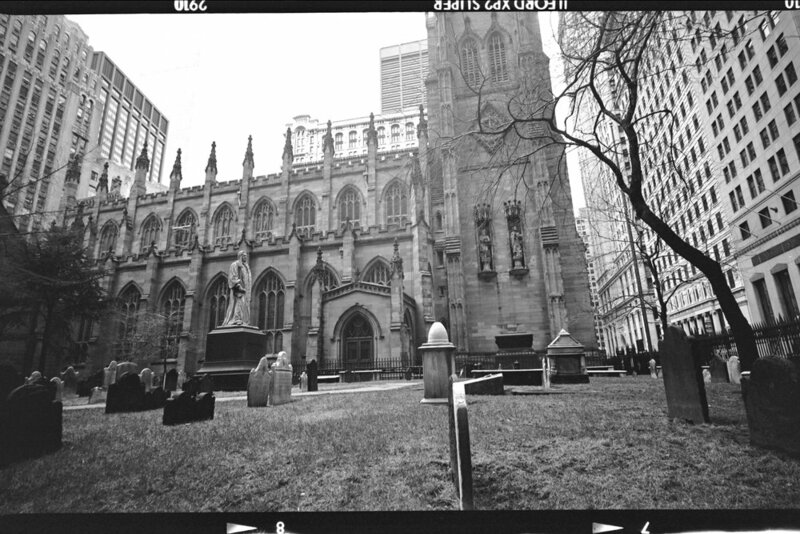 There were lots of limitations to the Infrared film process. The film needed to remain sealed in the original film cans until you were ready to load the camera. The camera needed to be loaded in a dark room or a black-out changing bag. The film is overly sentive to daylight and would easily fog. 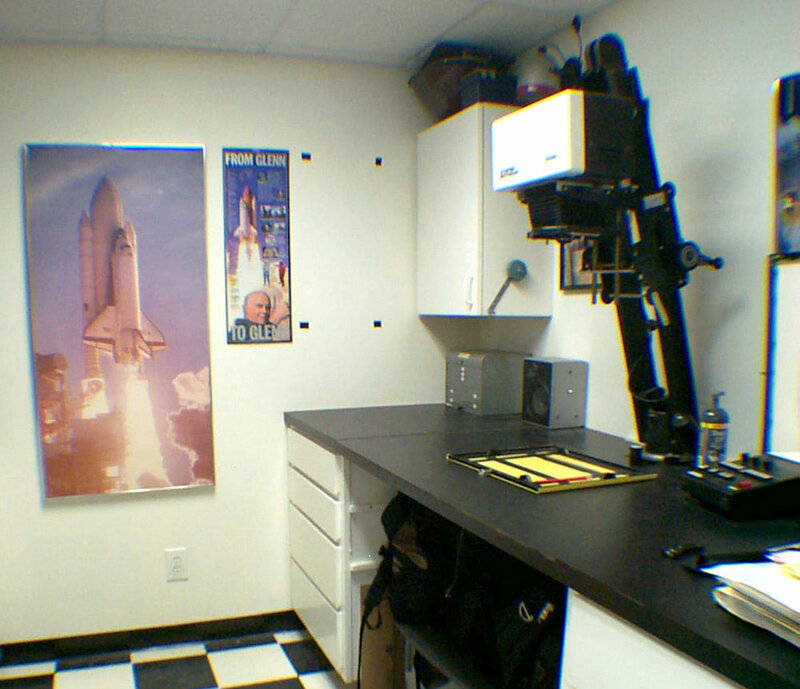 You needed a filter to go over the lens to block out light spectrums other than Infrared. 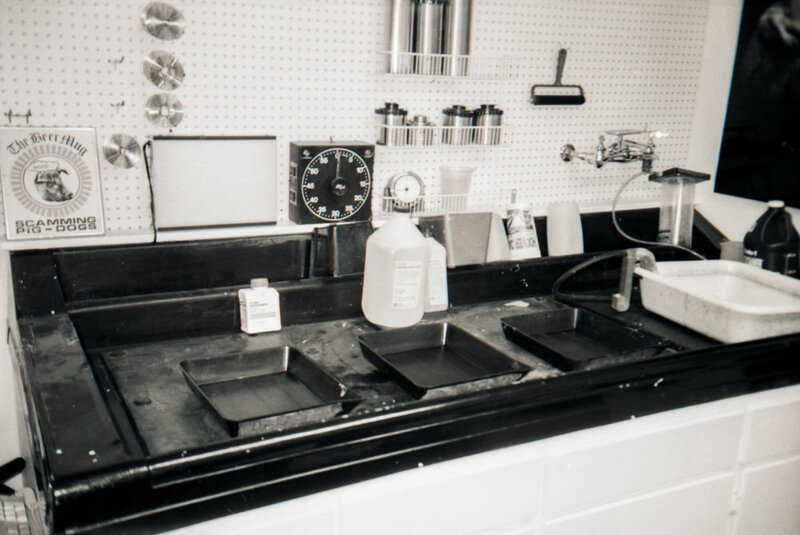 I also had a darkroom in my home and would process the film and make the prints myself. That is a whole other process worth discussing another day. Darkroom work is very fulfilliing. 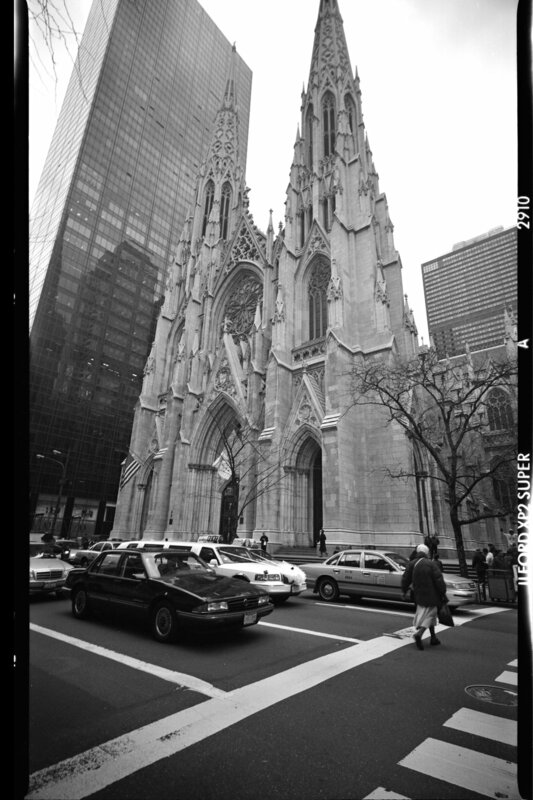 Below are a few images that were shot on film, printed and then in later years scanned. I still have the negatives and a few film processing tanks but I have sold the other equipment. Sadly, I sold the cameras as well. Film is making a comeback, and you can still get Infrared film but the choices are much more limited. Kodak is completely out of the Infrared film business today. If you are interested in the film process a good site to visit is Freestyle Photograpic Supplies, they have a good selection of film, chemicals and equipment. They also have a nice database of articles in a section called Photo Know-How. Click on the images above for the full view. About two years ago, I decided to research B&W infrared photography and figure out if I wanted to revisit this format. I quickly ruled out film. I did not want to get back into the wet process at this time because I did not have the space to dedicate to it. After some research I found several companies that would convert your existing camera to Infrared. However, this is a big commitment. Once converted you cannot take what you consider normal photos with that camera. I wanted to find an easier way to test the process, so I settled on buying a filter to go over the lens of my existing camera. Then I used digital processing to finish the image. 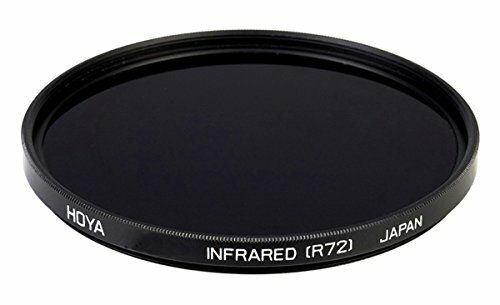 I purchased a Hoya R-72 filter and started reading blogs and testing the concept. This is an inexpensive and low commitment way to get involved. I am including some links to the various products I used if you are interested. I appreciate you using my links when you decide to make a purchase. There are many resources and varied opinions on how to make and process the images. You can spend hours with google and find some really good tutorials. The image below was shot on a Nikon D800 using the Hoya filter and processed in Lightroom with a pre-made white balance applied to the image. I also, processed it dark and with lots of contrast to create a mood in the image. It paid off as it placed in the Landscape Category at the event it was created. After a year of experimenting with this process, I decided to take the plunge and get one of my cameras converted. I chose LifePixel as a vendor and boxed up my older D800 and sent it off for conversion. I chose to use their Standard IR conversion on this camera. I truly like the look of the Deep IR, but I wanted the chance to have some color options. 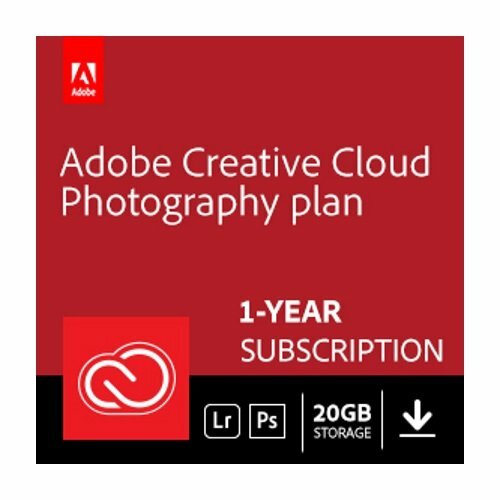 They also give you an hour of one-on-one video training with some Photoshop Actions to aid in image processing. I would recommend LifePixel if you choose to go this route. The above images were all taken with the Infrared converted Nikon D800. You can click on the images to get a larger uncropped view. I use many of the processing steps suggested by LifePixel, but I have added a few steps of my own. The white balance is done in Nikon Capture NIX-D, the Tiff image it produces is imported into my Lightroom library. I use Lightroom to do some basic contrast and levels adjustments. Then I export and edit the file in Photoshop. I use one of the actions provided by LifePixel to set the tones in the image. I usually have foliage, so I am working toward white leaves and grass. I then use Luminosity mask to create additional tone changes and maybe add an Orton Effect to the image. Please leave me comments and questions. If there is interest, I will go into more details of my processes. Once again The Georgia Nature Photographers Association visited the The Great Smoky Mountain National Park for their annual fall trip! This annual event is home based in Townsend, TN with excursions throughout the Smokies. Weather and locatin are keys to getting good photographs. Dramatic weather contributes to dramatic photos. In the past we have had a mix of clear to poor weather. Clear days are good for wildlife and big scenes. But the sky becomes boring on a cloudless day. So a good mix of clouds and some rain is even better. You know you are in the Smokies when you see fog in the valley. If you wake up in the morning and open the window and see fog simplay do not get back into bed! Go out and see what is in store for you. The photo below is a good example of a cloudy sky with fog in the valley. At 5:30 AM when I woke up and looked out at the parking lot, the fog looked so bad I thought to myself why go. But as you can see the reward was this lovely scenes of backlit clouds and a blanket of fog in the valley. Sunrise, pullout 15 on Foothills Parkway. I arrived on Wednesday night and went out at first light on Thursday morning to Cades Cove to start my photography journey. We had rain all accross the south the entire week and Thursday was no exception. I pulled into Cades Cove in a steady rain. It rained most of the day on Thursday, but I managed to find some locations to make some photos. Maybe not the best ones I have produced but some unique ones. John Whitehead Cabin, Cades Cove GSMNP. There are a few spots that I visit every time I go to Cades Cove. It seems odd to folks that I go back to the same locations every time I go, but with the changing conditions you really do get a different perspective each visit. Bill Lea spoke at the closing session this year and talked about the quality of light. This was exactly his point as well. Weather plays a huge role in the quality of light. Off of Sparks Lane, B&W Infrared. Kayaker on the Middle Prong of Little River. Lots of rain will lead to lots of water in the rivers and streams. 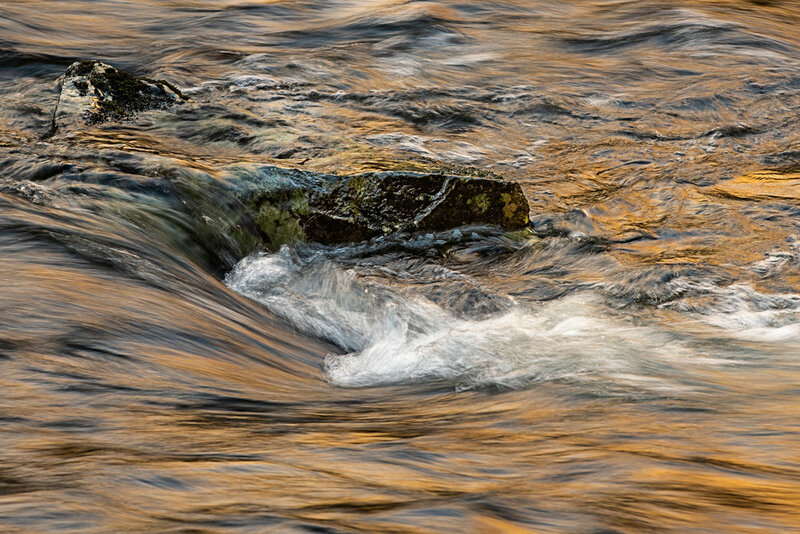 The Middle Prong of Little River was way up in Tremont, so not the best conditions for water photography. This is one of my favorite places to photography water, so I scouted it Thursday to see how high it was. As I made the drive up to the end of the road I saw small contributing streams that are usually just trickles turn into full water falls. But I also saw some guys Kayaking down the river, so I pulled out the long lens and started shooting them, Then I would race to the next curve to catch them again. 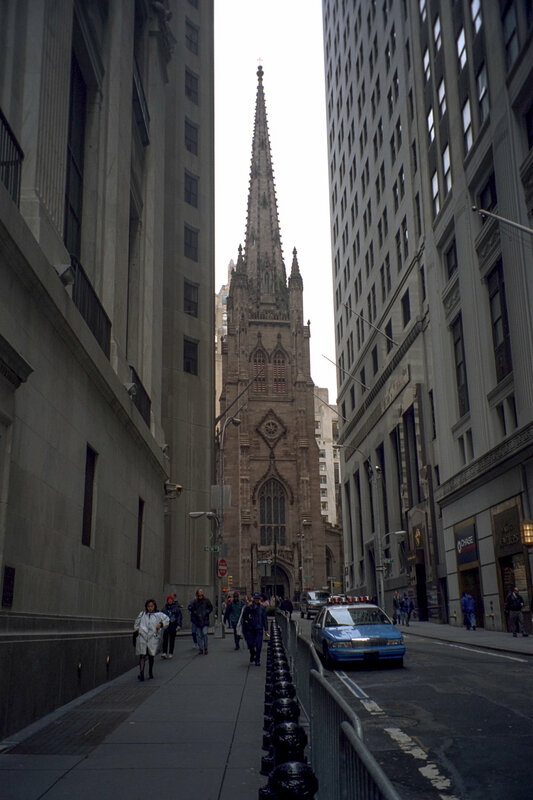 Click on the image to see more. This year we also had more color than usual in the trees in the higher elevations. I love finding the colors reflecting in the slower waters. On Saturday it had been dry for two days and the waters went down a good bit. The photo to the left was made on the Middle Prong of Little River. To see more images of this trip please follow this link. GNPA Smokies Weekend. Sunrise off Foothills Parkway GSMNP. Here is a short video from this trip. Sometimes you are not given ideal weather to take photos in. You simply never know what you will get. Sleeping in is not the solution, going out and experiancing it regardless of the weather is the solution.